Wow were these delicious! I was totally bummed and literally almost cried when I was struck down with severe nausea a few days later, pregnancy not food poisoning. I really wanted to have the leftover beef in a quesadilla. Yum! I will be making this again soon, I hope you will too. 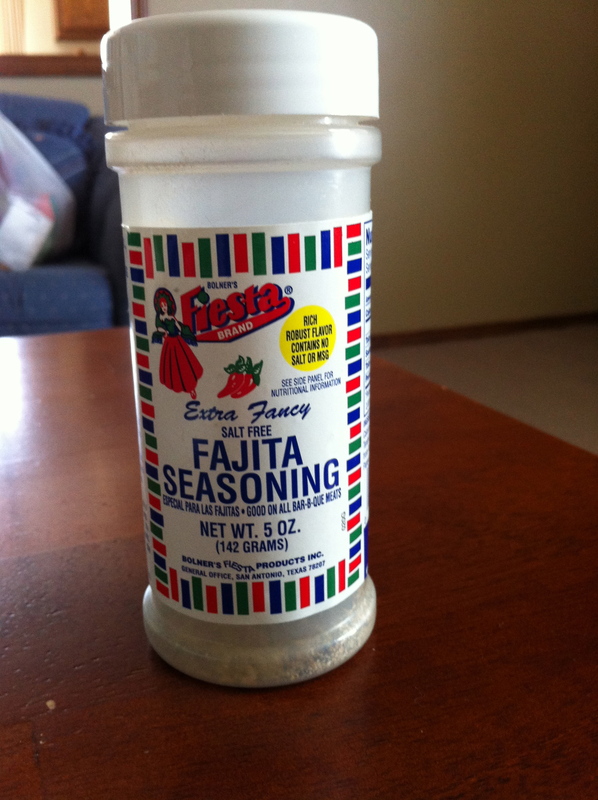 – Shake Fajita Seasoning on roast, brown roast on all sides in a pan with hot oil. 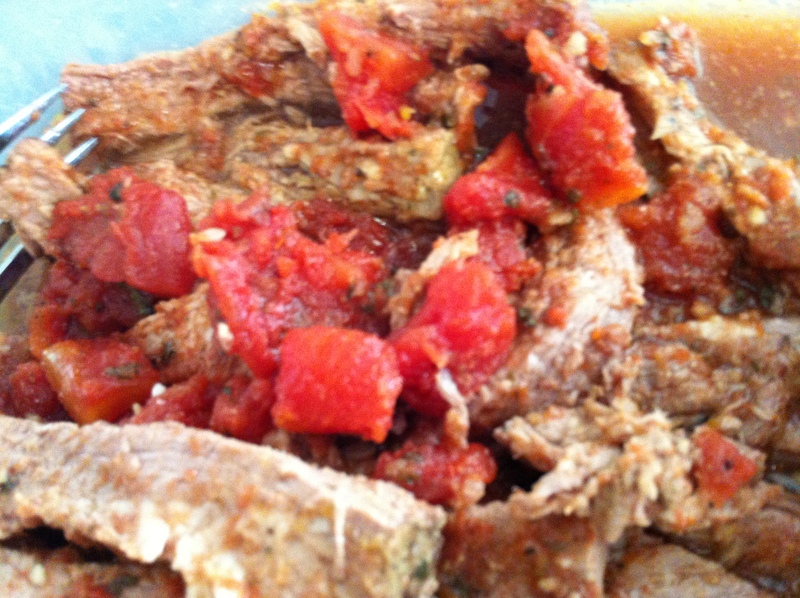 – Place roast in crock pot, add in tomatoes, onion, pepper, cilantro, salsa, and more Fajita Seasoning. 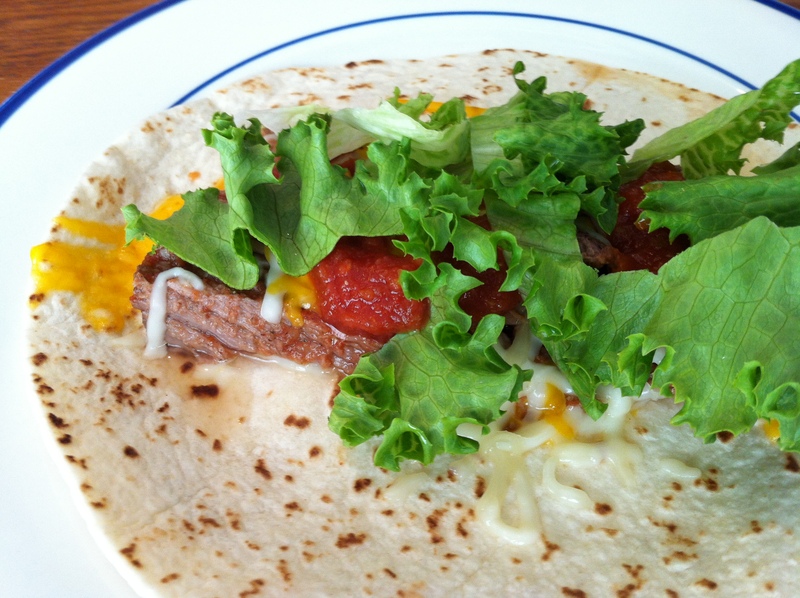 – Trim fat, cut into strips and serve on tortillas with your favorite fixings! 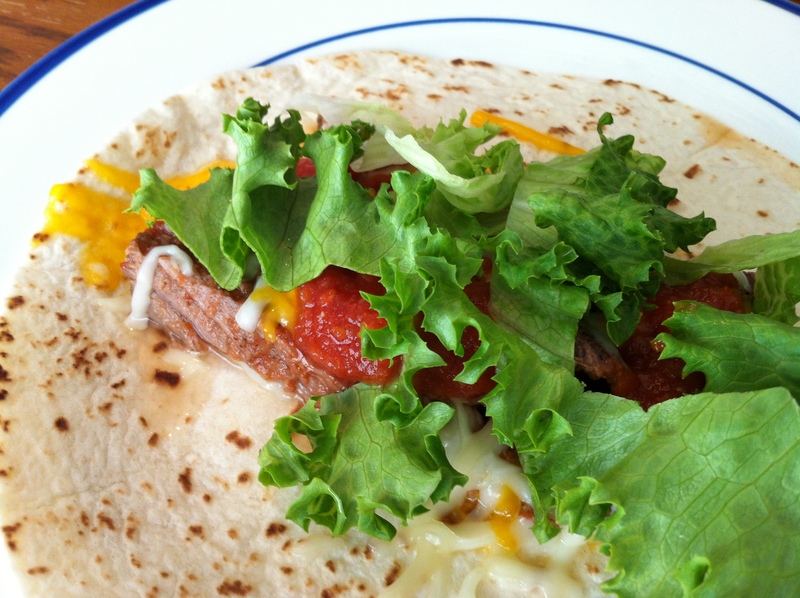 These are fabulous as leftovers, for more fajitas, or in breakfast burritos, sandwiches, a beef hash, quesadillas, or anything you can think of!